Convention says that quality of leadership usually makes or breaks projects, businesses and other collaborative-based ventures. Yet, there is a growing list of companies that have either explored or employ a holacratic, or leaderless, organizational structure. At first glance, it might seem easy to outright dismiss the idea that going leaderless could be a viable foundation to build a business upon, but the debate surrounding the concept is much more complex. Let’s take a closer look at the pros and cons of a leaderless structure, as well as whether or not it’s the right solution for your organization. Why are Holacracies Gaining Traction? For thousands of years, human beings have appointed, fought for and lauded leaders who have for better or worse, advanced civilization from caveman to man-cave. So, if the “leadership model” has worked so well as a whole, why then, are businesses trying to reinvent the wheel? Well for starters, research shows that going leaderless can be good for the bottom line. Studies show that companies with fewer layers are approximately 15% more profitable, are more flexible in their decision-making, have lower costs and are more creative. Plus, they have a positive impact on job satisfaction because they tend to take a more democratic approach to setting and working toward mission-oriented goals. In many ways, the concept of a leaderless structure is also a natural answer to an increasingly glaring business problem: good leaders are tough to find, let alone keep. In fact, one Gallup study found that even though managers impact employee engagement by as much as 70%, companies make the wrong high-level hiring decision 82% of the time, rightfully begging the question of whether or not it’s better to have no leader at all rather than a poor one. While it’s true that leaderless structures do seem to have value, critics can point to the fact that they haven’t really worked at the highest levels of business. A few years back, Google eliminated managerial roles in an experiment that lasted just six weeks. Their research found that they actually needed managers and further, that workers serving under some of their better managers were more productive and had less turnover. In another case study, Zappos, the online shoe retailer, famously went to a holacratic structure, and in five years, lost almost 20% of its workforce. Ironically, Zappos implemented the holacratic structure with the goal in mind of promoting collaboration, yet employees complained it did the exact opposite and stifled their ability to speak up. Plus, many workers complained that the system resulted in confusion about what was expected of them while making them feel more like robots than humans. It’s tempting to look at the Google and Zappos stories and chalk them up as failed holacracy experiments, but in actuality, they really highlight the importance of good leadership, as well as the consequences of not having someone with a clear vision in charge. At their core, good leaders set clear expectations and have empathy for the people they lead, and while Google found that people respond positively to strong leaders, Zappos saw that when they ignored those values, their employees left in droves. Even though two huge companies tried and failed with holacratic organizational structures, it would be a disservice to discount the merits of going leaderless. After all, there is plenty of conversation criticizing the negative attributes of the more traditional hierarchy in modern business as well. Ultimately, though, the answer isn’t "one or the other." Increasingly, research shows that businesses are moving to a combination of the two, and in a recent survey, over 90% of companies said that organizational redesign is a top priority going forward. The thing is, there are reasons that the concept of leadership has stood the test of time. Good leaders inspire people to work harder, which in business translates into innovation, better products and services and ultimately, more customers and bigger bottom lines. That’s why, at the end of the day, the answer to the problem of not having enough good leaders isn’t to go leaderless. It’s to develop better leaders — a solution that is more proven, less traumatic for employees and more lucrative. 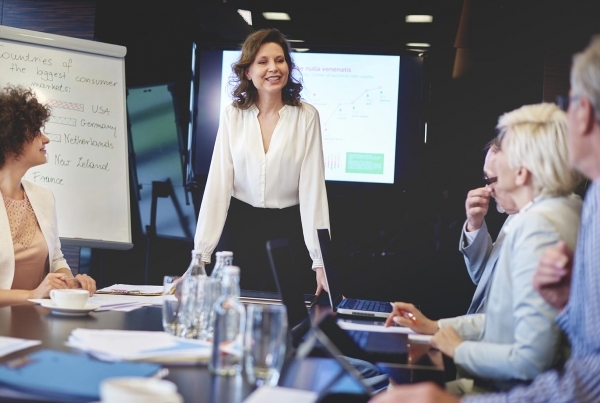 In fact, studies show that companies with strong leadership pipelines gain almost 40% more revenue per employee and see an almost 10% increase in profit margins. For more information about how your company can build a hybrid organizational structure that increases employee engagement and boosts revenue, contact us at Info@DavidCouperConsulting.com.